What are Teen Treatment Programs? Navigating the challenges of adolescence is difficult. As teens search for identity and acceptance from peers, they often suffer setbacks. A failed relationship, troubles with school, or a turbulent home environment can distort their core beliefs and put them on a dangerous path of self-harm, substance abuse, and avoidance. The pursuit of transitioning to adulthood of is often stunted. The anguish caused by stressful and traumatic events can seriously affect a teen well into her adult years. In fact, according to youth.gov, about one in every four or five youth meet the criteria for developing lifelong mental impairments. This can include mood, behavior, anxiety, and substance abuse disorders. Teen treatment programs allow struggling youth to enter a safe, therapeutic environment where they can face the modern challenges causing them distress. In many cases, these are residential treatment programs staffed by a diverse range of professionals specializing in the issues of adolescence. Why choose residential teen treatment programs? Sometimes the problems and stressors at home cause a vicious cycle of negative emotions and behaviors. It’s nearly impossible for a teen to take a step back and honestly assess how her current situation is contributing to self-destructive behaviors. When a teen gets a chance to leave her toxic environment, she can reset the thought processes leading compulsive, negative behaviors. Trained therapists create individualized programming that allow a teen to examine her life and set goals for lasting change. The therapeutic environment empowers the teen to create positive, lasting change. As the teen develops new skills and coping mechanisms, she is better equipped to deal with the challenges that were once stunting her growth. Who Do Teen Treatment Programs Help? Youth struggling with a variety of issues get help from teen treatment programs. While some of these programs offer specialized care (substance abuse, behavioral issues) others holistically treat a struggling teen. Teens enter treatment for several reasons. Some are dealing with more severe cases of anxiety or depression. Others struggle with high-risk behaviors or substance abuse. Some teens have suffered abuse or a traumatic experience and are having difficulties processing and coping with it. Oftentimes, teens in a treatment program have complex issues that simple one on one therapy sessions don’t seem to help. If a teen has significant struggles at home or in school and displays behaviors making her a danger to herself or others, a treatment program can be beneficial. A time away from the stressors at home may be a beneficial time where a teen can take a step back from the habitual thoughts and behaviors causing problems. 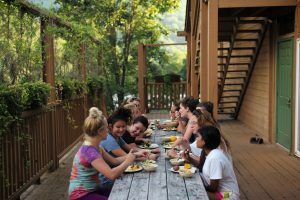 Teen treatment programs, like Solstice East in North Carolina, have successfully treated several young women having difficulties navigating adolescence. Solstice East offers a program for girls ages 14-18 trying to cope with personal struggles. This can include ADHD, anxiety, abuse and trauma, grief, attachment issues, eating disorders, aspergers, low self esteem, and troubles with social interaction. More importantly, the whole person gets treatment, not just a diagnosis or list of problem behaviors. How Does Solstice East Help Teen Girls Struggling to Succeed? Solstice East, a teen treatment program in North Carolina, offers a gender specific program where girls get help with their challenges and struggles. The comfortable, supportive environment gives girls a chance to face the issues impacting them the most. 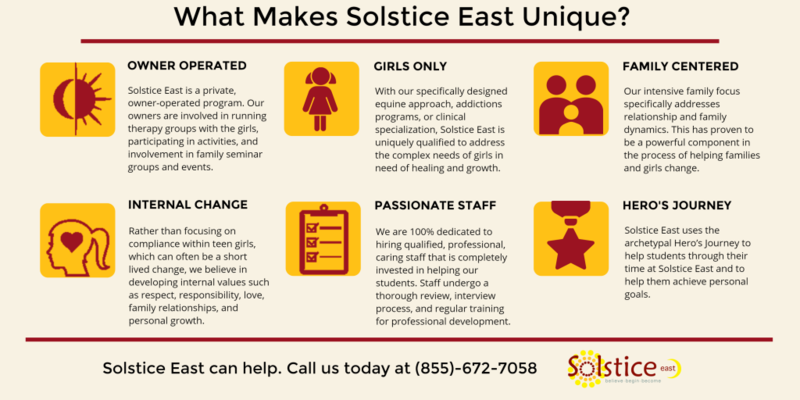 Solstice East has expert staff trained specifically in the dynamic needs of young women. At our program, each young woman is viewed as a hero. She faced struggles, setbacks, and insecurities. She comes to us in need of guidance and support so she could continue her hero’s journey to happiness, independences, and wellness. We help her discover her personal strengths in the midst of her chaotic life. We teach her how to use those strengths as she journeys through her adolescence. She uses her strengths during our academic, experiential, and service activities. Soon, she finds a renewed sense of purpose and starts believing in herself to make the hero’s journey. How do we help her with this journey? We offer a holistic approach to enhancing every aspect of the young woman’s life. We don’t just treat the problem behavior, we help her discover the underlying thought patterns and causes behind those behavior. Our intensive therapy is designed around the unique needs of today’s young women. We offer adventure therapy and experiential activities where young women discover more about themselves during these engaging groups. Our students learn healthier, more productive ways to deal with life’s stressors including meditation and yoga. Solstice East is dedicated to changing the life of young women by creating an atmosphere where therapy is welcoming, engaging, and effective. We offer several opportunities for young women to succeed. We learn about each of our students and prepare an individualized plan of success. Our students have daily opportunities to learn and grow using a variety of therapeutic interventions. Students who come to us often have complex emotional and behavioral issues that kept them from living the life they wanted. We make sure we have the best staff to help our students become successful. We know the therapeutic alliance between staff and students is crucial for the healing process. This is why we hire the most qualified candidates and provide regular training to ensure they have all the personal and professional tools to positively impact our students’ lives. 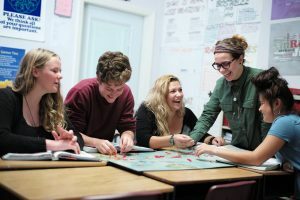 Using proven, evidence-based therapies, such as trauma-focused cognitive behavioral therapy, we help students get to the root of their issues and teach skills to better cope with life’s everyday challenges. Therapeutic groups allow the girls to be a source of support and inspiration for each other. During these groups, many young women find they could let their guard down and honestly discuss their issues. In addition, we offer engaging, therapeutic opportunities like equine assisted therapy and adventure therapy so our young women learn by doing. Our strong focus on mending the often strained family relationships is crucial to the success of the program. Once a student returns to her family, we make sure the family has all the knowledge and tools for a stronger family dynamic. This makes the gains in treatment continue well into the young woman’s future. Behavioral and mental health issues directly impact a student’s success. Many girls come to our program falling behind in school. Some may have learning difficulties like attention deficit disorder or difficulties processing information. Others lack motivation or productive study habits to succeed in modern classrooms. Whatever the reason, struggling in academics can be a significant blow to a teen’s self-esteem and desire to grow. After all, when a teen sees others that just seem to “get it” she may feel inferior or isolated from her peers. Solstice East provides individualized attention for each of our students. We assess a student’s academic struggles and develop a plan for success. Our small classrooms with no more than 10 students offer opportunities to adapt education to each student’s unique needs. In addition, our students’ academics are fully integrated with the clinical program. This means the entire team designed to help your daughter is not only focusing on her personal well-being but also her academic success. This provides a more well-rounded approach to growth than just being enrolled in a therapeutic day school. Since our academic program operates year-round, teens have the opportunity to catch up on missing credits. We also offer independent study courses as another way to earn the credits necessary to graduate high school. If a student is returning to her home school, we make sure we offer courses that meet her district’s requirements. But earning credits is just the beginning. As a student starts succeeding in school, the motivation and pride starts surfacing in other areas of life. Someone who was once overwhelmed by the pressures of school begins to discover just how capable she is at being successful and independent.